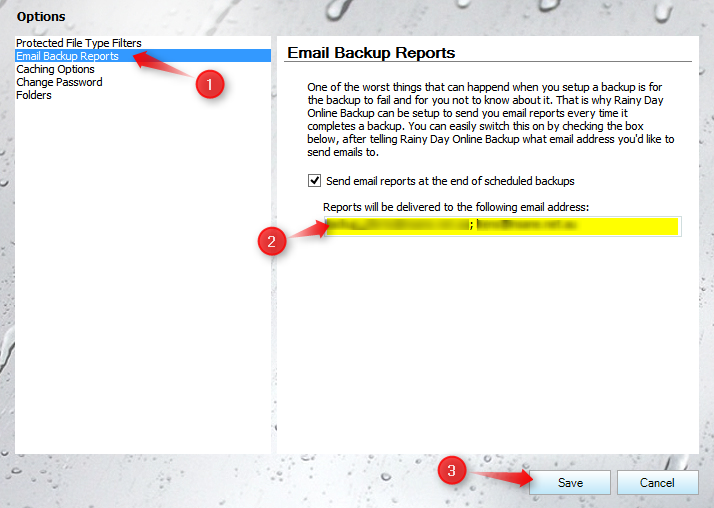 This article will assist you to make changes to the email addresses that your backup reports are being sent to. 1. 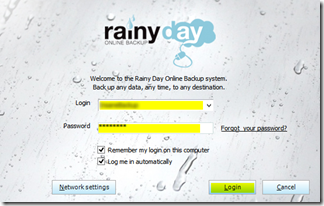 Log in to your rainy day online backup account which has been installed onto your computer. 2. 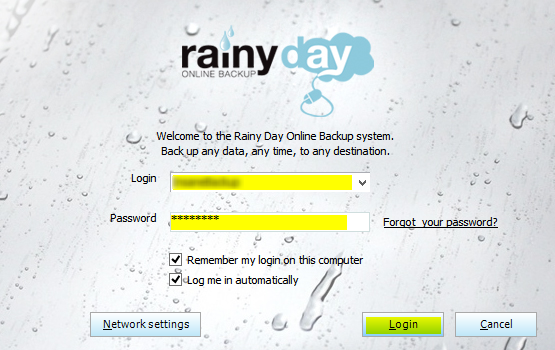 In the top left there is a drop down menu. 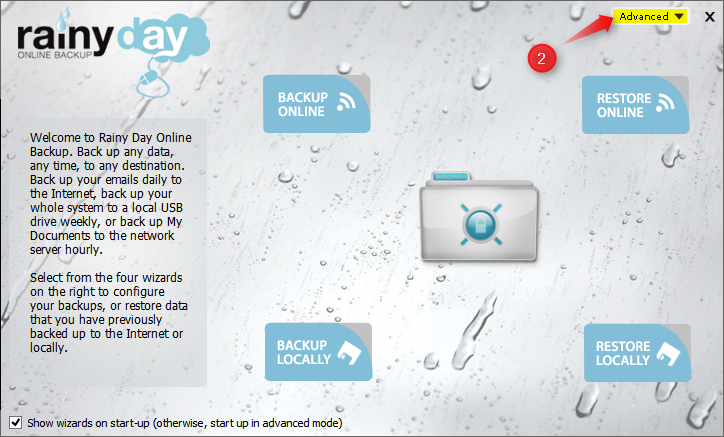 From this menu select Options. 1. 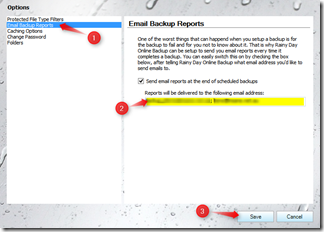 Select Email Backup Reports in the navigation panel. 3. Click Save to save the changes. 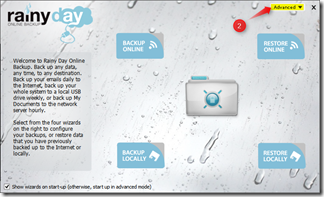 You should now start to receive the emails to the new addresses after the next scheduled backup.